Laundry product supplier Tingue (www.Tingue.com) has unveiled a line of replacement drain valves for a wide variety of continuous batch washers and coin-op washers. 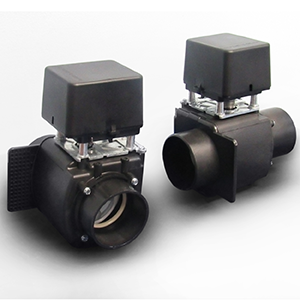 Designed specifically to handle these high volume, low pressure installations, the line of durable drain valves features injection molded plastic construction with integrated AC motors and motor protectors for dependable operation and high performance over a long service life with nearly zero maintenance. Easy for one laundry technician to install, the drain valves provide high performance and long life that are comparable to OEM drain valves yet are offered at a significant discount. The line of drain valves comprises seven models, each offered in a variety of configurations with a choice of options to suit the washer machine model such as the inlet and outlet port sizes, motor voltage and cycles, and housing color. The replacement valves are available for washers from Alliance Laundry Systems, Continental Girbau, Huebsch, Milnor, Dexter, IPSO, Unimac, Wascomat, Speed Queen and for GE coin-op washers. In addition to the drain valves, Tingue representatives offer a wide range of replacement parts for all laundry machine makes and models.